The latest addition to the bomb seeds range; Cluster Bomb is everything that Bomb genetics have become famous for, huge yielding, fast growing and powerful enough to blow you away! This truly explosive strain was developed using the original Sensi Skunk #1 and the legendary Cinderella 99 which was then crossed with our very own exquisite Bomb #1. 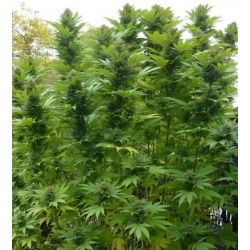 The resulting genetics are truly awe-inspiring; A heavily Indica dominant hybrid that has power and yield but thanks to the Cindy 99 genetics finishes faster than many other super high yielding strains available.